This workshop engaged with analytical approaches, themes, and sources in the emerging field of spatial history. It marked the first step towards a new volume to be published in the series “Routledge Guides to Using Historical Sources”. 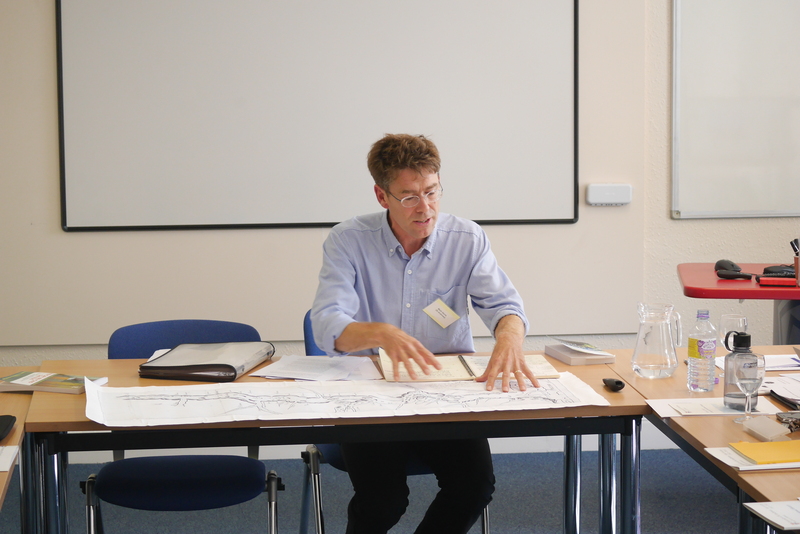 In keeping with the guiding principle of this series, the workshop explored ways of doing and practising spatial history, on the basis of a variety of primary sources, and informed by different analytical perspectives. The workshop was opened by the organisers Riccardo Bavaj, Bernhard Struck, and Konrad Lawson, who all stressed the need to identify what was distinctive about the field of spatial history, and what, if anything, spatial history added to the practice of historians. RICCARDO BAVAJ (St Andrews) argued that the field of spatial history is not so much defined by “its sources”, and by what scholars choose to investigate, as it is defined by the way in which sources are analysed and by how scholars choose to write history: It is, he emphasized, a matter of perspective, methodology, and analytical approach. Bavaj outlined three potential perspectives: the everyday-making of geography and the production of social spaces; practices of territorialisation and symbolic appropriations of political spaces; practices of mental mapping and the deployment of spatial semantics. 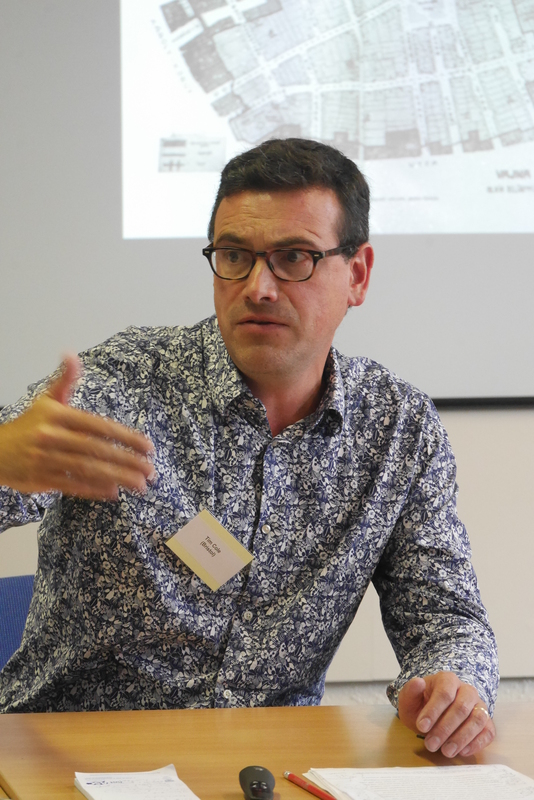 KONRAD LAWSON (St Andrews) complemented this by focusing on the opportunities brought by Geographic Information Systems (GIS) to the field of spatial history. While GIS had long been employed in the social sciences for the analysis of clearly defined research questions, it had much to offer to historians of space as a heuristic tool of discovery when adopting the same careful and critical approach to the representative and interpretative aspects of extracting and visualising geographical data as was the case with more established methodologies. SARAH EASTERBY-SMITH and MATTHEW YLITALO (St Andrews) honed in on ships as mobile spaces that influence and frame social relationships. Particularly, they reflected on three dimensions: mobility, mutability, and temporality. Inspired by Foucault’s notion of ships as ‘heterotopias’ par excellence, they analysed ships as social spaces characterised by disruptions of ‘normal relations’ (e.g. public/private) and their chameleonic nature. Indeed, journeys on ships usually featured long periods of boredom punctuated by moments of intense interaction. Easterby-Smith and Ylitalo illustrated their points with the example of the CSS Shenandoah, a commercial and whaling ship which sailed across the world oceans between 1863 and 1865, performing various acts of transgression depending on where it sailed or harboured. 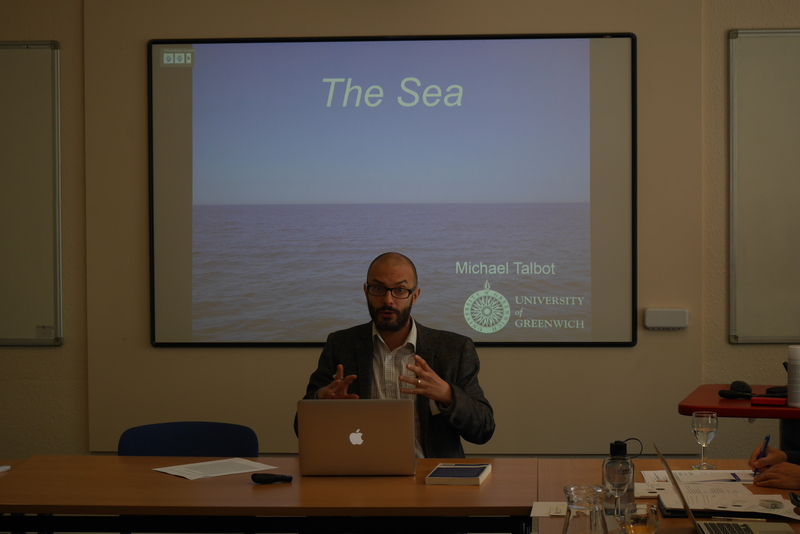 MICHAEL TALBOT (Greenwich) offered a different point of view on the spatial setting of the sea. Contrary to Alexis Wick’s “The Red Sea: In Search of Lost Space” (2016), in whic h the sea, in contradistinction to the land, is presented as an entity that is denied any historical agency, Talbot made the case for viewing the sea as a distinctly historical entity. Focusing on an imperial command of Mustafa III, and the efforts of the Ottoman Empire to control violence in the eastern Mediterranean and to protect ‘our seas’ and ‘waters’, Talbot argued that the sea in this context showed all the essential traits of territoriality (or ‘maretoriality’) as defined by geographer Robert Sack: a bounded area; a means of identifying and marking the area; a form of authority manifested over people, objects, and processes in the area. Talbot also highlighted the importance of ‘brown water history’ that considered coastal waters as transitional (ecotonal) spaces between land and sea. MARK HARRIS (St Andrews) examined from an anthropological perspective the question of what it means for a society to live along a river. The case of the Tapajós, a tributary of the Amazon, led Harris to investigate the river as a site of encounter and subjugation, highlighting the division between Portuguese and Amerindian spaces. As part of his evidence he presented a report and a map prepared by Jesuit missiona ries in the 1740s of the River Tapajós. These documents revealed the different kinds of knowledge as represented in ethnic and spatial terms to refer to people and the areas along the river. Apparently of European authorship, these documents were complex statements of first and second hand knowledge of the river and its native people. Both colonial and native relations were shaped by this riverine space – the flow which drew all down to its mouth where the colonial fort and Jesuit mission were located. In his exploration of landscapes, JAMES KORANYI (Durham) analysed the German-speaking travel guide for Romania “Komm mit” (“Come along”/”Join in”), which was published in Bucharest between 1970 and 1990 (with a print run of 20,000-30,000 copies), and whose target audience were, especially, East German tourists. The travel guide served a number of purposes: Above all, it allowed Romanian Germans to reclaim certain regions as “their space” (also through the use of German place names), and to reimagine Romania as their Heimat. At the same time, it helped the regime to promote Romania as a socialist homeland of beautiful landscapes, glossing over the actual destruction of rural spaces – one of the reasons it passed censorship. Most intriguingly perhaps, the travel guide reinjected a sense of appreciation for localness and the smaller scale in a political environment dominated by two large power blocks. In her analysis of mountain travel in the early modern period, DAWN HOLLIS (St Andrews) demonstrated that mountains, while an object of physical geography, allowed for the exploration of a plurality of spaces. Following Henri Lefebvre’s tripartite definition of space, she examined mountains as a conceived and practiced space, but also as a ‘representational space’ that carried religious meanings (‘the city of God at the top of the mountain’). While historians have focused a great deal on a proposed change in perspective on mountains thanks in part to the rise of mountaineering, the cultural experience of mountains before this period shows considerably more rich and diverse views than previously understood. Hollis thus challenged the assumption of a dichotomy between an early modern sense of ‘mountain gloom’ vs. a modern vision of ‘mountain glory’. JORDAN GIRARDIN (St Andrews) discussed various aspects that ought to be considered when using travel literature as a primary source. Focusing on Thomas Pennington’s “Journey into Various Parts of Europe” (1825), he zoomed in on the points of departure and arrival, and their socio-cultural contexts, the mental map of the traveller, experiences of confusion and miscommunication, and social encounters during the journey. The inclusion of – unreliable – “historical notes” in Pennington’s account presented a particular challenge for using this primary source. Girardin suggested a combination of both qualitative and quantitative analysis and stressed the potential of combining techniques of close and distant reading. BERNHARD STRUCK (St Andrews) drew attention to maps as media of spatial representation and a key primary source for spatial historians. He chose a topographical map by Jakob Melchior Ziegler from 1848, which carried the title ‘Deutschland’, sending out the message “This is Germany”. A peculiarity of the map was the mentioning of notables – scholars, artists, and other luminaries – near their place of birth or residence. The silences of the map were particularly noteworthy in this regard: While the name of Immanuel Kant was shown under the city of Königsberg, the name of Wolfgang Amadeus Mozart was absent from the map – a map that envisioned a ‘greater Germany’ that included Austria. What Struck’s analysis conveyed was the combination between an aura of scientific accuracy that maps like Ziegler’s evoked and the art of political persuasion in which they engaged. LUKASZ STANEK (Manchester) examined drawings of Nigerian traditional architecture by the Polish architectural historian Zbigniew Dmochowski. Applying mapping techniques from 1930s surveys of traditional wooden buildings in eastern Poland, Dmochowski had carried out a vast survey of Nigerian architecture first as an employee of the colonial Department of Antiquities in the 1950s and later as the head of the Institute for Tropical Architectural Research at the Gdańsk Polytechnic (1965–82). Dmochowski made a case for “accepting tradition as the starting point of […] creative, independent thinking”, its translation into “steel and concrete”, and its use for the creation of “a modern school of Nigerian architecture”. As Stanek made clear, the isometric drawings by Dmochowski offered the opportunity to explore the normative power of the perspectives pr oduced and thus explore the relationship between documentation and design. Finally, TIM COLE (Bristol) reflected on a map of the Pest ghetto, which was established in November 1944, illuminating various dimensions in the process of ghettoization: territoriality and the exercise of power through ghetto space; the creation of “Jewish presence” and “Jewish absence” through ghetto walls; spatial (and mapping) strategies to put Jews in “their place”. Cole also problematized, however, the tendency to privilege the perspective of perpetrators, and stressed the need to counter this perspective by giving due consideration to “place-making strategies” of Jewish victims. He concluded his talk by pointing to the opportunities, but also some of the pitfalls of digital GIS mapping, as well as the memorialization of the Jewish ghetto in today’s Budapest. A final discussion concluded this exploratory workshop. It was emphasized that the planned publication on spatial history and its sources needed to make clear what added value a spatial histor ical perspective provided that distinguished it from more established approaches. The papers each provided their own answer to this challenge, offering valuable contributions in at least three general areas: highlighting the opportunities of using particular types of primary sources; exploring the potential of particular kinds of spaces for generating new historical questions; and finally preserving reflexivity through a critical engagement with spatial theory. 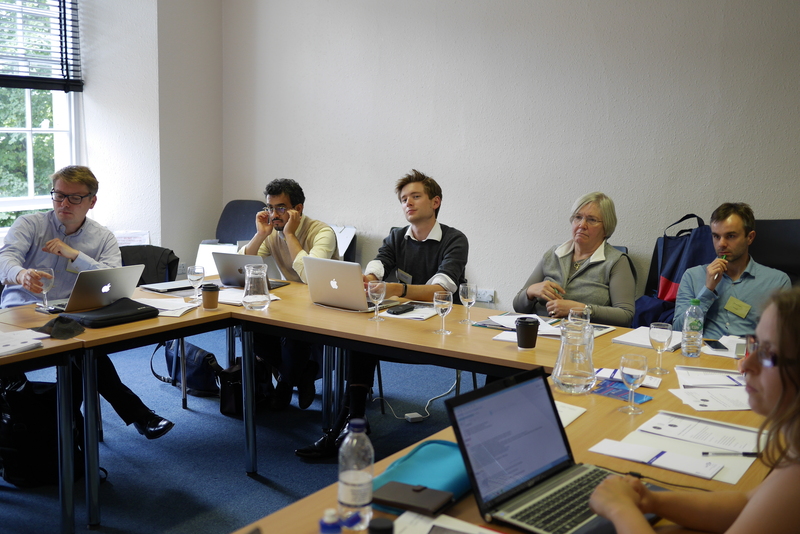 This workshop report re-posted from H-Soz-Kult. This entry was posted in Uncategorized by Riccardo Bavaj. Bookmark the permalink.